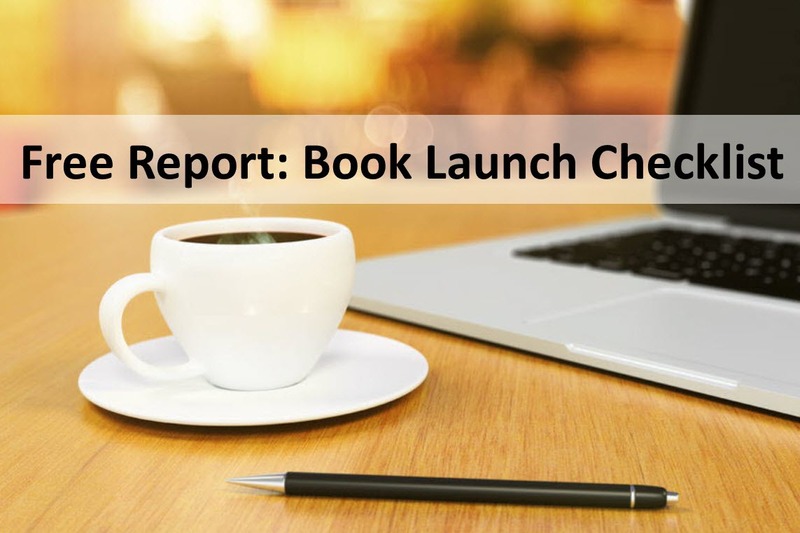 The following interview is an excerpt from Booked Up: How to Write, Publish, and Promote a Book to Grow Your Business by Stephanie Chandler. How did your journey as an author begin? I (just barely) graduated from San Jose State in 1974 with a Bachelors degree in business administration and accounting. I got Cs in English. I started to play with the idea of what would go with a one-page plan. I realized that people speak in keywords and short phrases. When I would meet with a client, I would jot down their keywords and phrases and within about 90 minutes, I had their plan. I found the Bay Area Independent Publishers Association (BAIPA), a wonderful organization, and attended their one day self-publishing university. I also read books by Dan Poynter and John Kremer. I started and stopped writing the book about half a dozen times. Then I met Rebecca Salome. She’s a book coach who helps people get their books written. It took three years to write and publish, but I finally finished. I had a client who was in the early stages of developing Web software. The product came to market June 1, 2000. How did your subsequent books come about? Along the way, consultants began to gang up on me. They were all doing volunteer work with non-profits who needed help with their plans. I told them I would write the book if they would help me. They submitted sample plans and that’s how we ended up with The One Page Business Plan for Non-Profit Organizations. Then, for the 10th anniversary of my first book, I decided to celebrate at Confab, the annual conference for the Institute of Management Consultants (IMC). We gave all 300 people there a copy of the book as our way of saying thank you for all that they had done to help me learn how to be a successful consultant. A few months later, the CEO of GAMA (General Agents Management Association) called. He said, “These plans are amazing. This industry needs them. I’ll do everything I can to help you put a book together for them.” And that turned into The One Page Business Plan for Financial Services. Every time we add another book to our series, it increases sales across the board. People who didn’t know about our books before suddenly get introduced to them. Have you had any other surprises along the way? About five years ago, I got an inquiry from Korea to buy the foreign rights to my book. My sense told me that I might only get one check from them ever, so I better make it big. They paid $5,000. Then I connected with Bob Erdmann, a foreign rights specialist. He sold rights to McMillan in India and Wiley in the UK. We also sold rights to publishers in Mexico, Estonia and Vietnam. One reason every author should consider offering foreign rights is that the buyer has a vested interest in protecting your book from getting reproduced illegally. After we sold rights to Mexico for $650, we asked if they were planning to produce an 8×11 version—all of our books are 8×11—but they were producing the book in a smaller size. They didn’t want to print the larger version so we asked if they would sell the translated version back to us. They did—for $650—and we recently released the new Spanish version here in the U.S. Since you’re a self-publisher, do you have a distributor to place your book in bookstores? No, I don’t bother. We have arrangements with Baker and Taylor and Ingram (book distribution portals), though their sales are minor. Amazon is a big percentage of our sales. Our consultants also order from us and about 40 to 50 college professors do too. Did you pursue the college market? No, it just kind of happened. That’s the magic of books. When you take what you know and do it to be in service of people, they will buy your book and talk about it. What kind of marketing have you done for your books? I built my own indirect sales force of 450 consultants. I wanted to find people who were already trusted advisors to my audience. For those people, they would be sharing information about The One Page Business Plan, rather than selling. Business consultants were already working with clients whose business plans weren’t working. So we created a training and certification program. Nine years later, over 450 consultants have been through our program. By the way, the consultants pay us to get certified. Back then we charged about $2,000 for the program. Today we charge $4,800 for four half-day training programs, all delivered by teleconference. They don’t have to travel and this keeps costs down for all involved. We teach them how to extract a One Page Business Plan from anybody and how to know when a plan is done. It should represent your best thinking. That’s the litmus test. When we sit down with clients to review their plan, we can see that it looks pretty good, but we’re not experts in their industry. So we ask, “Does this represent your best thinking?” If the answer is “no,” then they’re not done with their plan. How much speaking do you do now? In the early years I was speaking 30 to 40 times per year. Now, maybe 12 to 15 times. I’m more selective. What have been the biggest surprises about how your book has affected your business? I didn’t know that I could write a book and I didn’t know that people would think differently about me. When I’m out in the business world, instead of introducing myself as a consultant, I introduce myself as an author. Something about this intrigues people. What I didn’t realize, and have come to learn, is that an author is still revered in the world. For people who are consultants, I tell them that they all need to write books. There was no way I could have possibly known all of the beautiful things that happen when you write a book. I never could have imagined that I’d be a public speaker, author, selling thousands of books and bringing awareness to corporate America. In Washington, D.C., a senior executive at Oracle bought my book on Amazon. He went back and bought 90 copies and began requiring his direct reports to use the process. Today, over 1,000 Oracle sales reps, managers and executives use The One Page Business Plan model. Have you received any media exposure as a result of your book? The book has been featured in Oprah Magazine, Entrepreneur, Money, and things like that. One of the things I talk about when I go out and speak to people who are out of work is that instead of looking for a job, go look for a way to work for the rest of your life as you are. If you keep moving towards that which you are attracted to, you’ll figure out the details along the way. You can have a dream, but what are you going to do with your two feet? You need to move forward. Just keep moving in the direction that you’re attracted to. Leverage your talents. Few people find writing easy, but you can get good at it. This interview is an excerpt from Booked Up: How to Write, Publish, and Promote a Book to Grow Your Business by Stephanie Chandler. You’ll find more author success stories, plus ideas for publishing and promoting non-fiction books, in Booked Up!